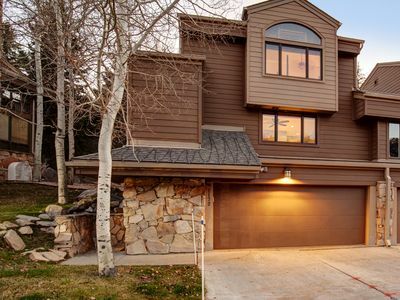 Park City Bear Hollow home w/ 2 Family rooms and private hot tub & pool access! 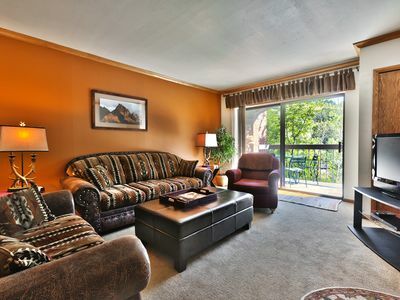 Steps to Canyons/Town Shuttle or a 5 minute drive there! 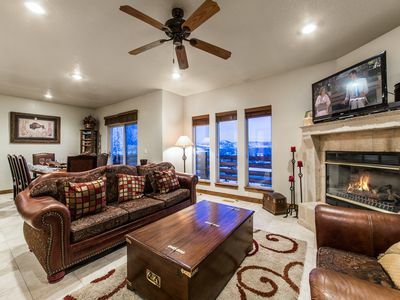 Surrounded by gorgeous views of The Canyons and the Uinta-Wasatch-Cache National Forest. 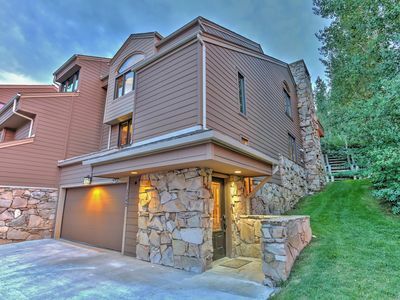 This beautiful Park City Home has it all! 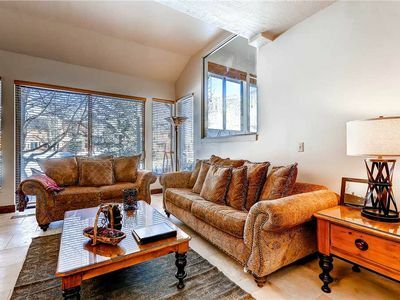 This spacious four-bedroom three and a half bath home sleeps up to ten comfortably: It boasts one master suite with its own en suite, one queen bedroom with an adjoining bathroom, and two bedrooms with twin beds, plus a pull-out couch in the lower level family room, all with its own adjoining bathroom, Two living spaces, two cozy fireplaces, Televisions in nearly every room of the house. 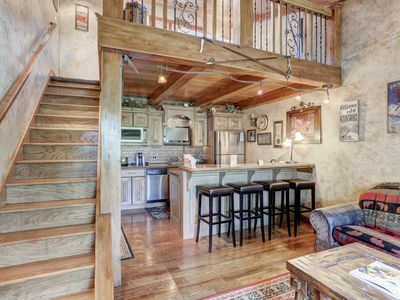 The home also provides complimentary WIFI, and you'll find a grill on the deck - for warm-weather barbecues. And a hot tub in the backyard. 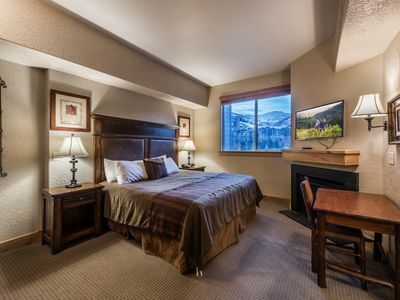 Your stay will also include access to the Clubhouse which boasts a large seasonal outdoor heated pool and Bar-B-Que area, a year-round hot tub jacuzzi, and fitness center. 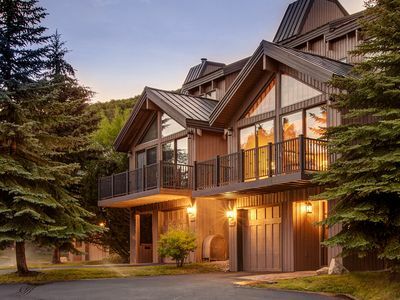 Situated at the base of Utah Olympic Park, this home is located just minutes away from all the best skiing at Canyons Ski Resort, Park City, and Deer Valley. 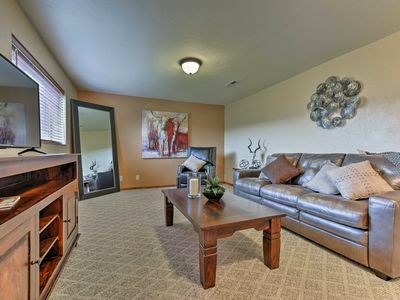 It is also conveniently located to all the best shopping and dining Park City and Kimball Junction has to offer. You can drive, or if you prefer, simply hop on the free shuttles offered in Park City and they will take you right down to Redstone (located in Kimball Junction) where you will find various types of restaurants, a movie theatre, bowling alley, grocery store, and ice cream shop or take that same short shuttle ride towards downtown, Park City to explore the many shops and restaurants in town. 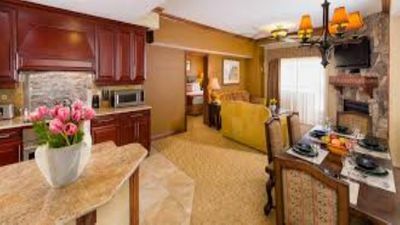 Because we are always considering the comfort of our guests, we are happy to offer a state-of-the-art water filtration system throughout the home, making it perfectly safe to drink water straight from any tap, eliminating the need to buy bottled water. And while it is rarely hot enough to need the air conditioner in Park City, we also recently installed a brand-new air conditioning unit. 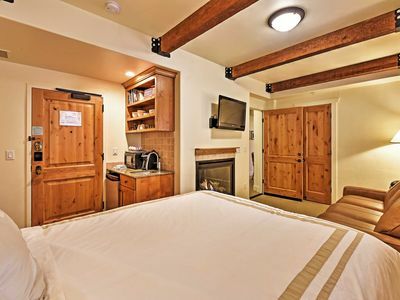 We know you’ll enjoy your stay with us. 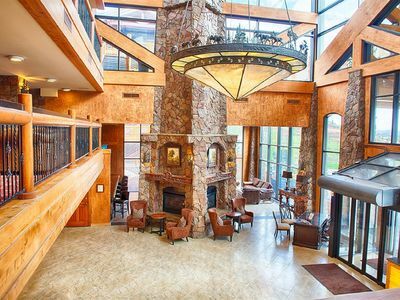 lease understand that our property is located in a quiet community in Bear Hollow Village and that we are quite close to our neighbors. That being said, we adhere to a strict 10pm -8am quiet hours outside of our property. Loitering in front and around the property is strictly prohibited. If you need to smoke, please do so outside, in the back and please discard your cigarette butts immediately after. This ensures that we keep your visit free of any interruptions. Should you violate these rules, there is a zero tolerance policy that will be executed and will result in an immediate removal from the property, without refund. 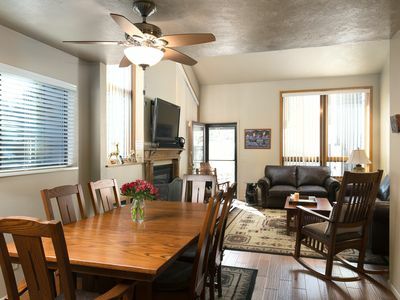 Maximum number of guests allowed on the property at any given time is 10 including children. 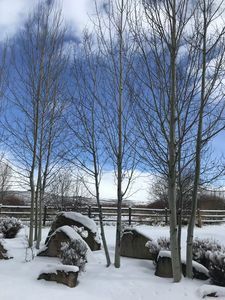 The owners have a severe animal dander allergy and any animals brought on the property could cause owner to have a severe alergic reaction when on the property. 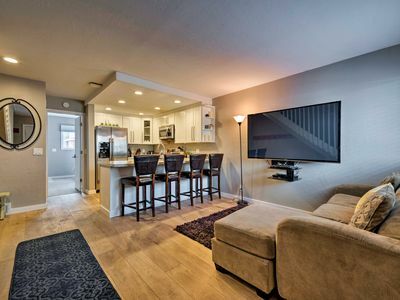 Beautiful VRBO Condo with private deck and 6 seater Hot Tub! 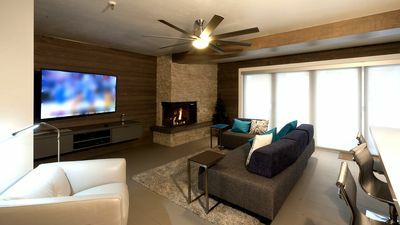 Luxury Townhome Ski-in/Ski-out close to Main Street!! 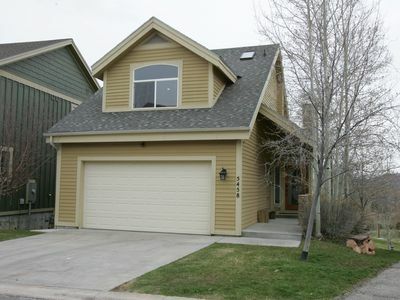 3+ Bedroom/4 Bath - New Finishes - Mountain Views - Easy Walk to Ski Lift! 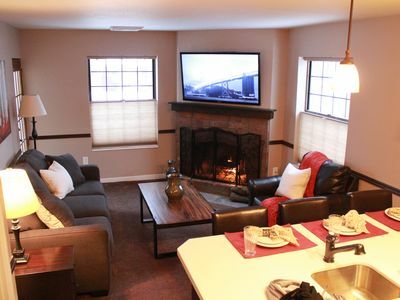 Perfect DV getaway! 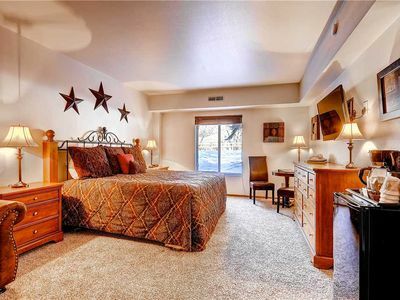 Great kids bunk & playroom-Abode on Stonebridge! NEW! 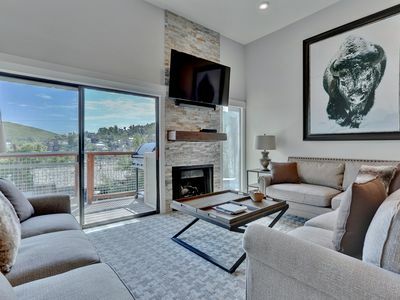 Modern Townhome - Walk to Park City Mountain!